New Delhi, Sep 20 (IANS) Rashtriya Swayamsevak Sangh (RSS) chief Mohan Bhagwat said on Thursday that the Ram temple at Ayodhya should be built without delay and all sections of society should accept the “reality” of the issue. 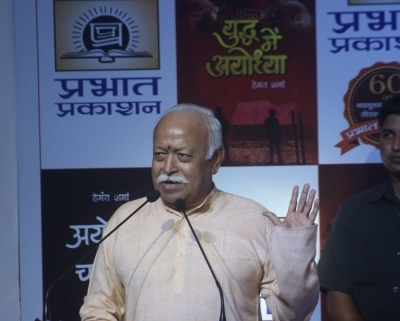 Bhagwat was speaking at an event held to launch “Ayodhya Ka Chashmadeed” and “Yudh Me Ayodhya” books published by Prabhat Prakashan. The books written by journalist Hemant Sharma describe the major events of the Ramjanmabhoomi movement. 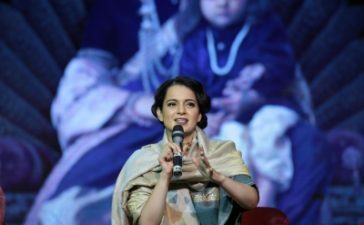 “It is a fact that the Ram Mandir was demolished… Everyone should accept this reality. Lord Ram is a symbol of our (Hindu) faith and if a proof has to be given of that, people will not accept it. The country wants to see the construction of Ram temple without delay. Once a temple is built, a big reason for mutual discord (between Hindus and Muslims) will disappear,” Bhagwat said. He said that justice should be delivered at the earliest. “You can’t delay it for too long. The society is supreme. There is a need to follow the path of truth and justice,” he added. Speaking on the occasion, BJP chief Amit Shah said that Ramjanambhoomi movement was the biggest after Independence which brought the people together. “There was a feeling among the people for decades that took the shape of a movement,” he said. Union Home Minister Rajnath Singh said that “Ayodhya is facing an exile for the past 500 years”. Bhagwat had on Wednesday said that the Ram temple in Uttar Pradesh’s Ayodhya should be built “at the earliest” which would remove a major cause of discord between the Hindus and Muslims.